"The Repository of Arts, Literature, Commerce, Manufactures, Fashions and Politics" (1809-1828), commonly known as Ackermann's Repository, was a Regency era British monthly magazine that made its debut in London in 1809. 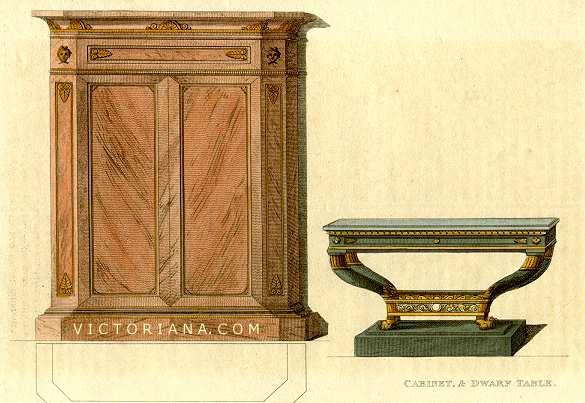 Each Regency era issue contained luxurious color plates of Regency fashion and decorating ideas. 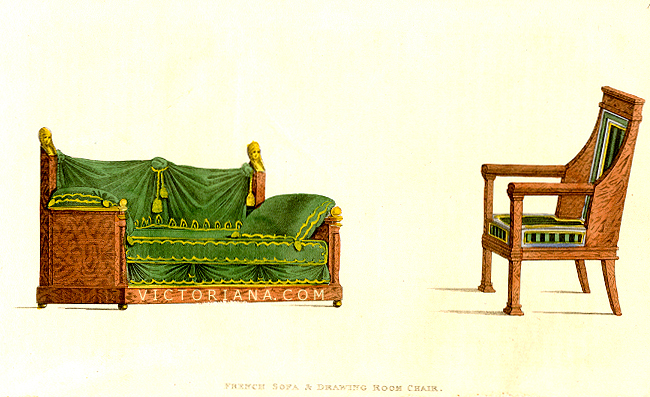 Although the British publication was primarily a fashion periodical it did contain some colorful plates of Regency furniture. 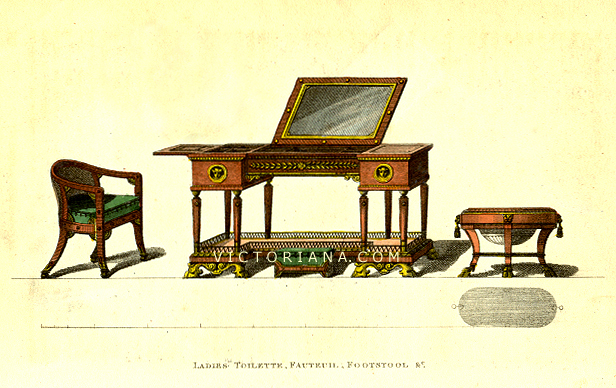 Regency "Ladies Toilette" and Regency "Footstool" from 1809 issue of Ackermann's Repository. and lilac silk and taffeta.